At the tiny country church in southern Illinois where Sandy Wisdom-Martin grew up, the first few steps toward Jesus weren’t for the faint of heart. And when Wisdom-Martin accepted Christ at age 9, the next Sunday just happened to be an ice storm. They went to the lake anyway. And coming up out of water in the middle of that ice storm onto that cardboard was her first public witness as a Christ follower. Now Wisdom-Martin, the new executive director of national Woman’s Missionary Union, says she likes to think of her role as doing for others what has been done for her — laying the groundwork for them to know the hope and love of Christ. “The first Southern Baptists I knew were Christian parents who work hard and served well,” she said, noting that she’d grown up in poverty not even understanding the sacrifices her parents made. Her father worked two jobs, getting two hours of sleep each night. Her mother worked the midnight shift so she could be at home during the daytime and on evenings. But the couple faithfully attended their church with their children, and from them, Wisdom-Martin said she learned lessons too numerous to mention. “And the members of our tiny country church poured their lives into mine, giving me every advantage possible as a young Christ follower,” she said. One of those, she said, was a new pastor’s wife who introduced her church to Acteens, and as a result Wisdom-Martin discovered what God was doing in the world. In college, the associational WMU council invited her to join their team, and they encouraged her to teach conferences. “I was awful; they loved me anyway,” she said. And that’s “only the beginning” of a long line of people who invested in her, she said. 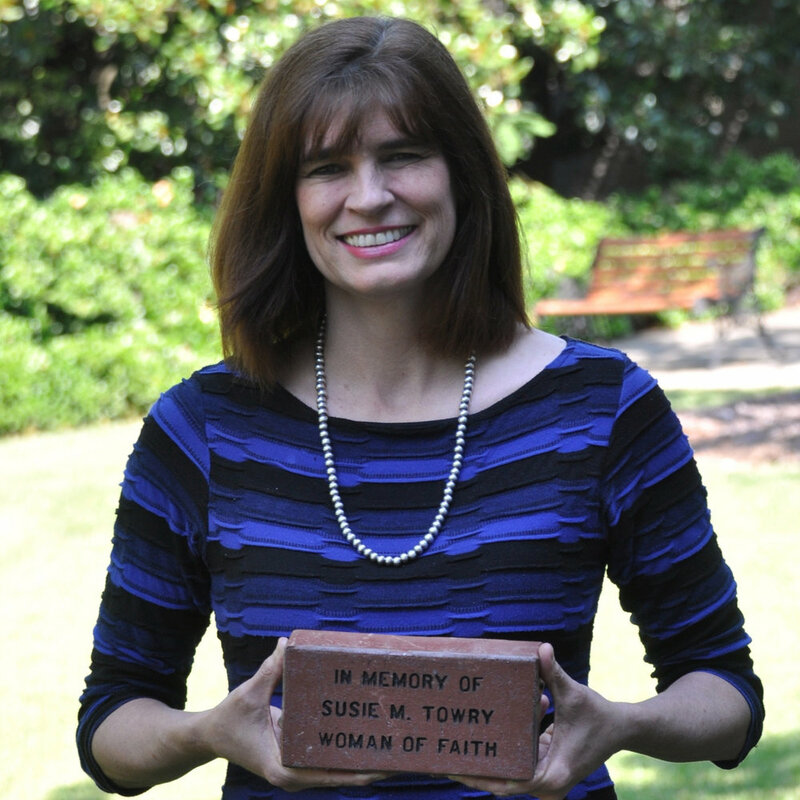 As a result, when Wisdom-Martin moved to Birmingham, Alabama, from Texas to take the WMU executive director position, she brought with her a “priceless heritage” passed down by “faithful Christ followers,” she said. “WMU has never been my job — it has been how I have lived out God’s calling on my life because I believe in the restoration of brokenness through hope in Christ,” said Wisdom-Martin, who formerly served as executive director of WMU of Texas. Before that she served as women’s missions and ministries director for the Illinois Baptist State Association and as Cooperative Program Missionary with the Arkansas Baptist State Convention. Wisdom-Martin hopes that through WMU many will come to understand the gifts God has given them and respond to His call on their life. You can support the next generation of missions leaders by making a gift to the Second Century Fund. This article first appeared in the April 2017 issue of Missions Mosaic and was written by Grace Thornton. Why in the world would we, the WMU Foundation, care about women’s leadership development? Why would an organization created to financially support missions invest in SHE leads? Shouldn’t we just focus on raising the money and making the grants? Without women’s leadership development, the WMU Foundation would not exist. The women who founded WMU made a commitment to support the spread of the gospel no matter what challenges stood in their way. Women in 1810 didn’t have jobs. But Hepzibah Jenkins Townsend, a wealthy South Carolina woman, defied her husband’s wishes and sold gingerbread at the market to raise money for missions. She found a way. Early WMU leaders who organized women in support of global missions did so in the midst of a society that did not welcome or encourage women to lead anything. This did not stop them. The women in WMU’s history were Christ followers who were unwilling to allow anyone but God to define their mission in life. Their call was to go into the world and make disciples. We are committed to continuing their legacy. Through the Second Century Fund (SCF), over $2.5 million in grants since 1988 have allowed women in the United States and around the world to receive the missions leadership training they needed to respond to God’s call. Women like Lisa in Uzbekistan, a SCF grant recipient who has fought against human trafficking and made disciples in the former USSR for the past 15 years. We support women’s leadership development because it is part of our history and vital to our future. We will invest in helping women respond to God’s call because it helps fulfill the Great Commission. Why in the world do we care about women’s leadership development? Because Jesus told us to go into all the world and make disciples, and we believe in helping women do exactly that. Pray for the women God has placed in your life to mentor and disciple you. Write them a thank you note. Think about who you could mentor and disciple. Write them an encouraging note and reach out to them as you see their leadership potential. Take a leadership course through the Christian Women’s Leadership Center. Serve through national WMU’s MissionsFEST or FamilyFEST. Volunteer at your local Christian Women’s Job Corps site. Start missions education in your church. National WMU has curriculum available for preschool through adults to help pray for and support IMB missionaries around the world and NAMB missionaries and ministries in the States. Give to the Second Century Fund. Your donation helps provide leadership development for generations of women to come. In the capital of Uzbekistan, a heavily Muslim country, Lisa found Jesus. And then hard times found her. When she was still a teenager, her mom died. She left Lisa with an apartment, which would’ve been a big help — except that other family members wanted it for themselves. So they made Lisa’s life even harder. “Lisa was forced to leave Uzbekistan to save her life, leaving everything behind,” Oleg Turlac said. She landed in Moldova. That’s when she found the Baptist college. And that’s where she met Turlac, a Beeson Divinity School graduate who moved to the former Soviet nation to teach theology at the college. “She wanted to study missions so that she could then tell people from different cultures about Christ,” Turlac said. And that went well until funds began to be an issue. And she hasn’t slowed down since. Lisa is now serving in a small town in southern Moldova, reaching out to young people and teaching at the town’s only Baptist church. Along with Galina, her friend and fellow graduate of the Baptist college, she started a tailoring school with the purpose of teaching a trade to girls at risk of human trafficking, Turlac said. So Lisa held summer camps for them, and during winter she and Galina would gather the teen girls into the mission station and have Bible study, do crafts and teach them tailoring. The ongoing fruit of Lisa’s $2,000 grant in Moldova is one of many ways WMU Foundation is seeing the impact of the Second Century Fund continue years after the grants are made. The grants have been providing women’s leadership training domestically and internationally ever since the first four Second Century Fund grants were given at WMU’s Centennial Celebration in Richmond, Virginia in 1988. Ruby Fulbright, current chair of the fund’s awards and nominations committee, said it’s an indescribable legacy. “Only heaven will know the impact the Second Century Fund has made on countless women in leadership here in the U.S. and around the world,” she said. Fulbright said she saw the grant’s impact close to home when she was serving as executive director of North Carolina Woman’s Missionary Union from 2002 to 2012. “It was the Second Century Fund that helped us start an amazing leadership training in the western part of North Carolina. It was a difficult place to get work started, but a bold group of WMU women started and the Second Century Fund provided the start-up funds,” she said. Click here for more information about the WMU Foundation’s Second Century Fund. This article first appeared in the February 2017 edition of Missions Mosaic.